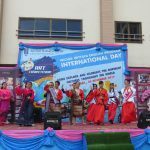 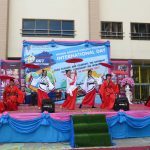 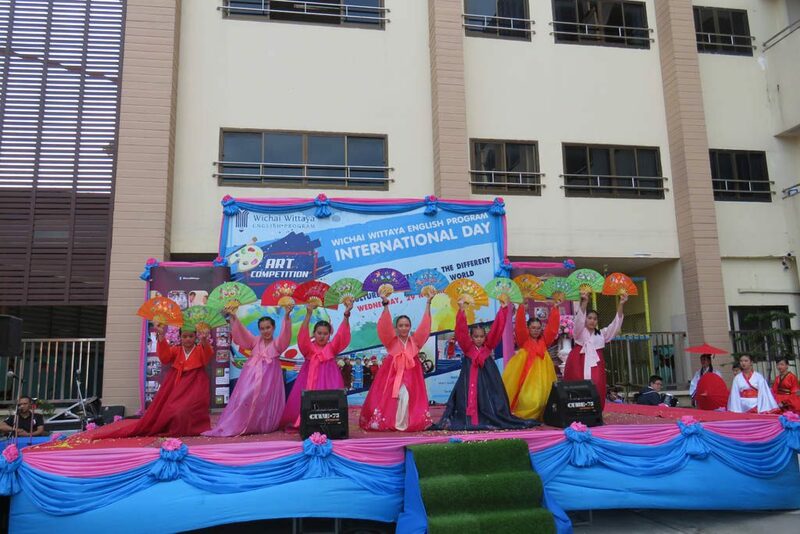 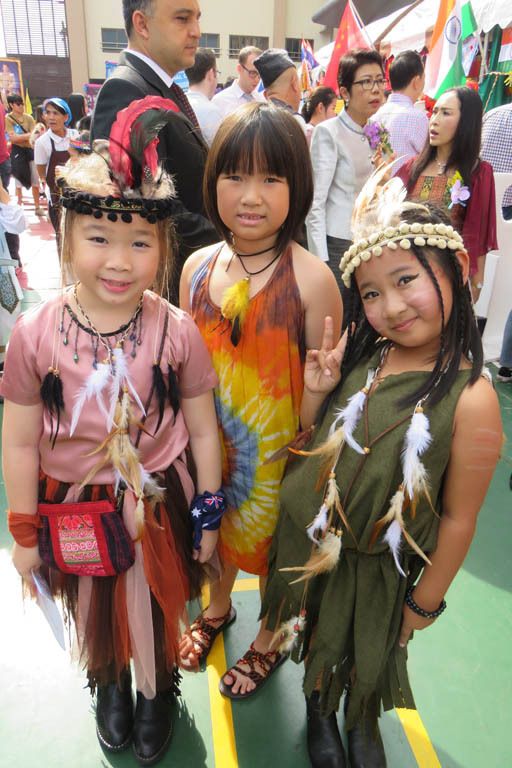 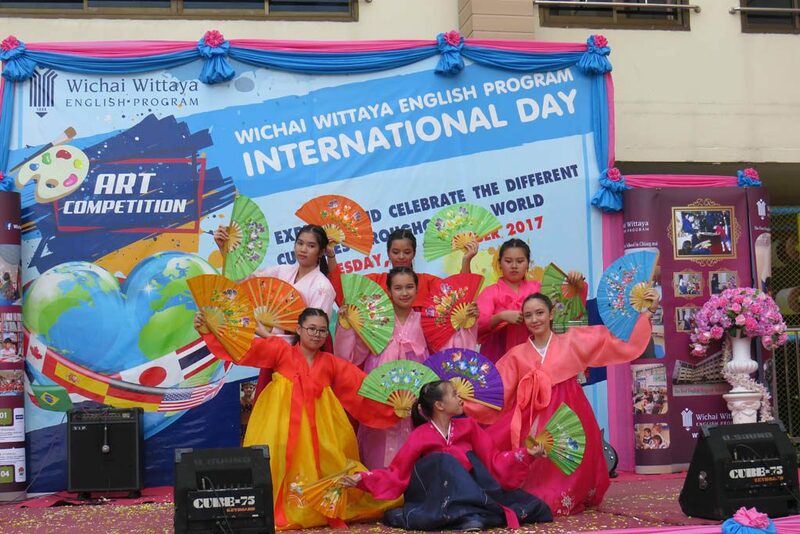 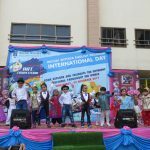 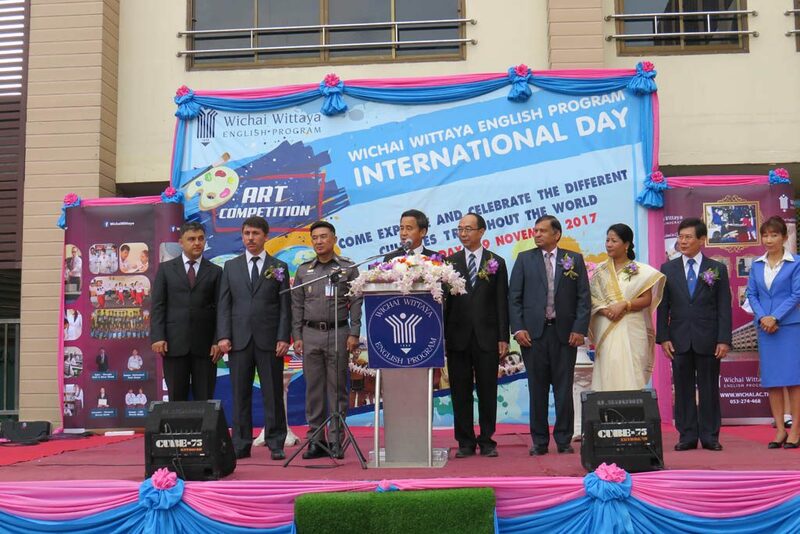 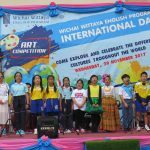 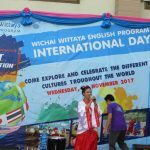 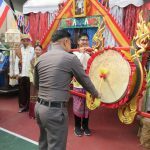 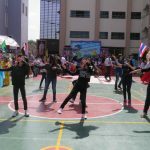 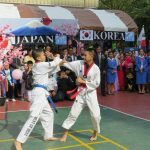 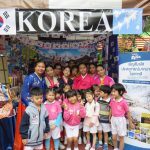 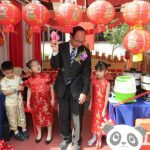 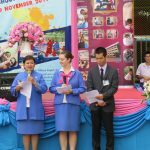 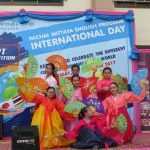 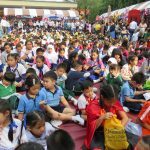 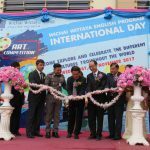 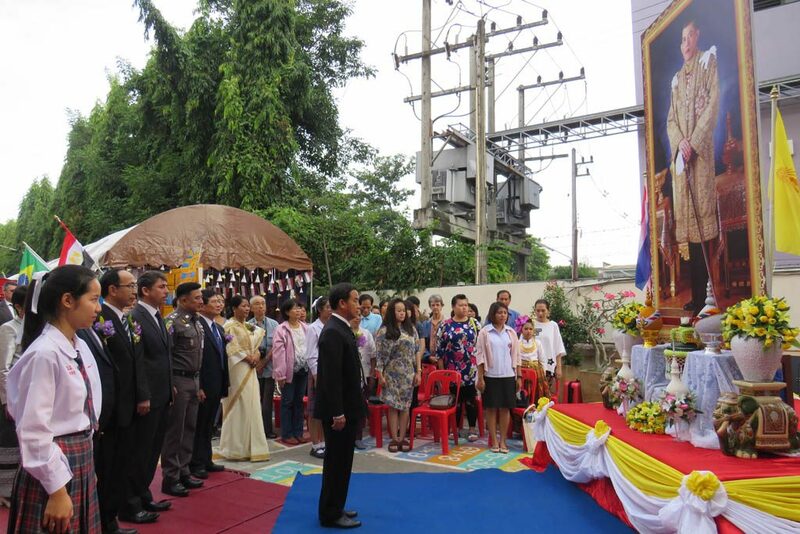 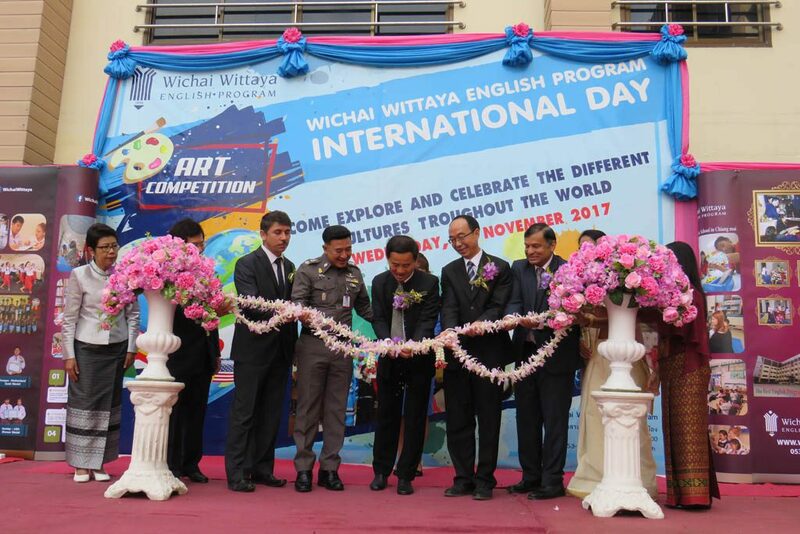 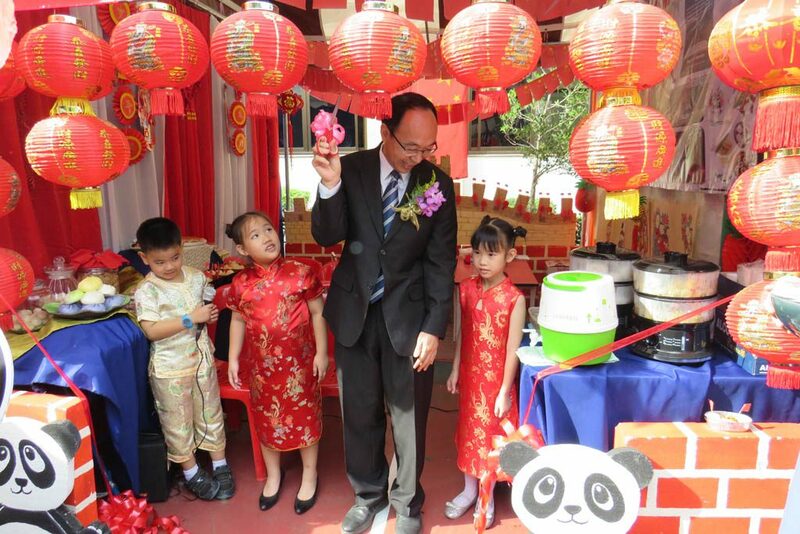 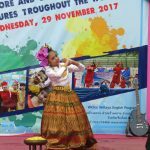 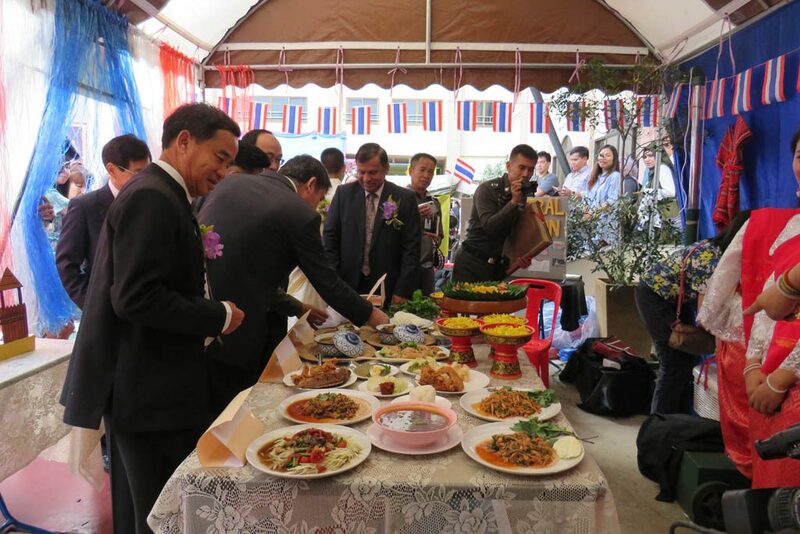 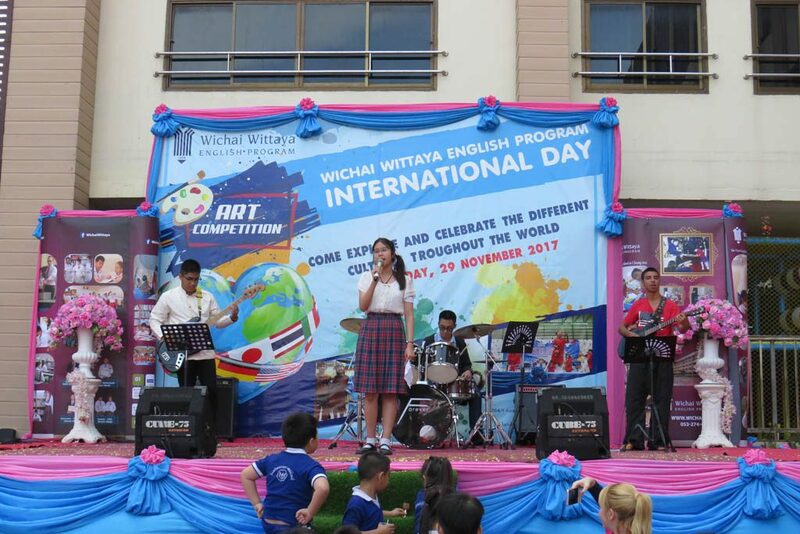 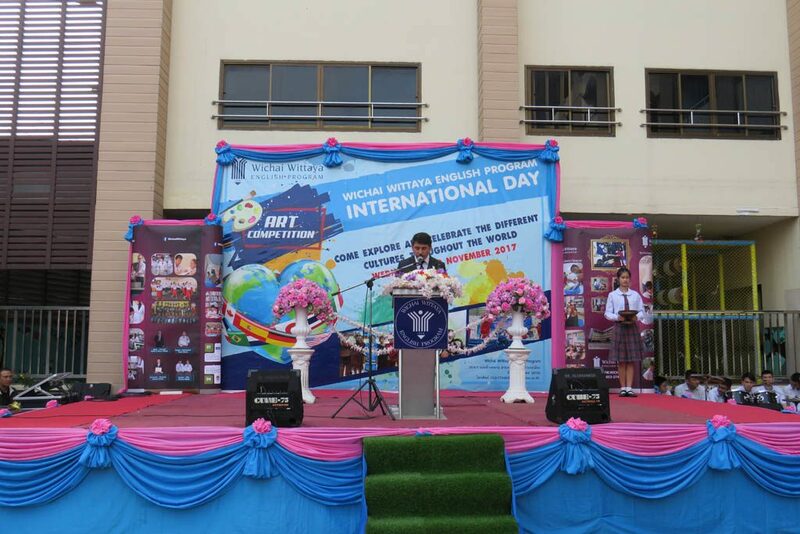 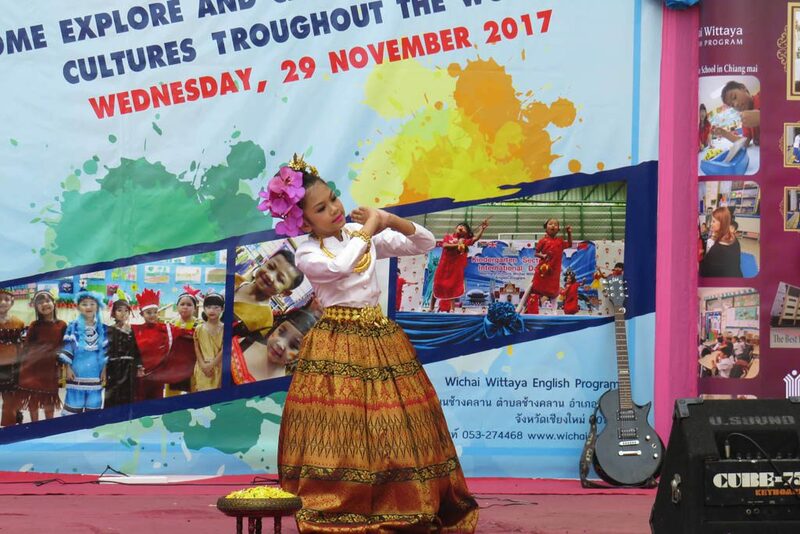 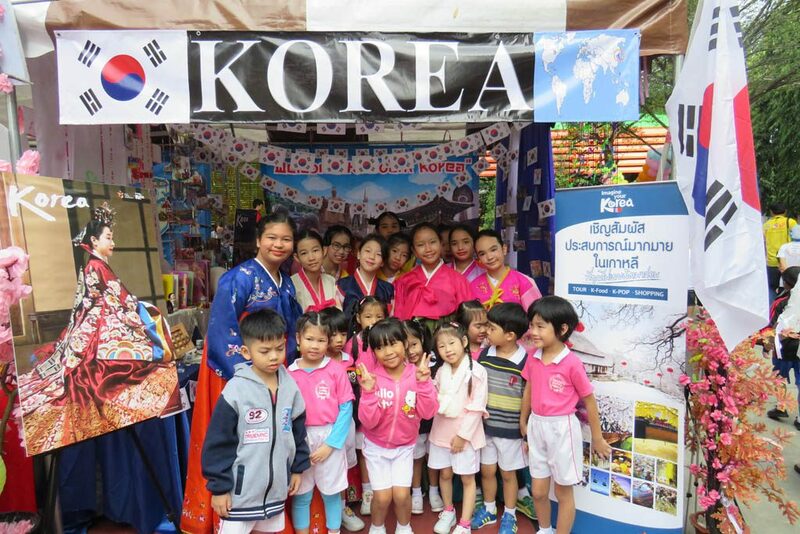 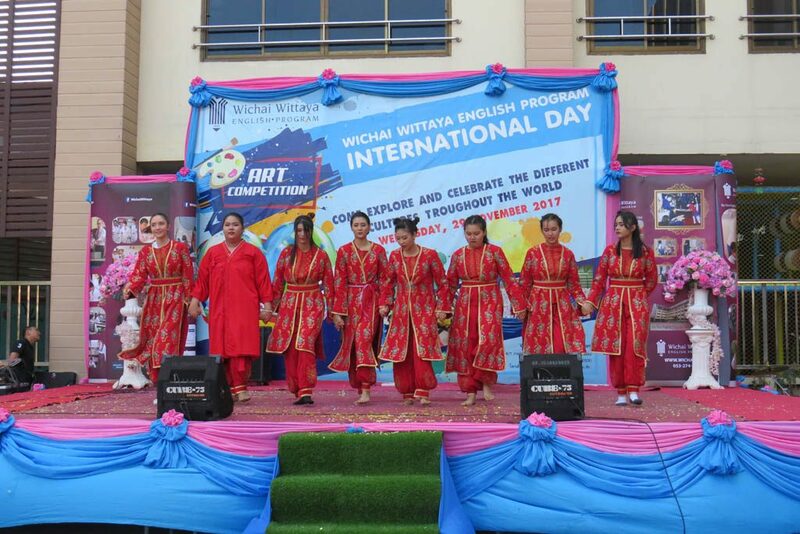 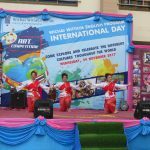 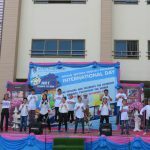 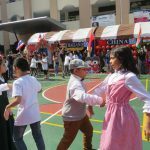 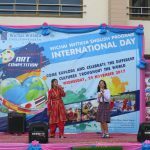 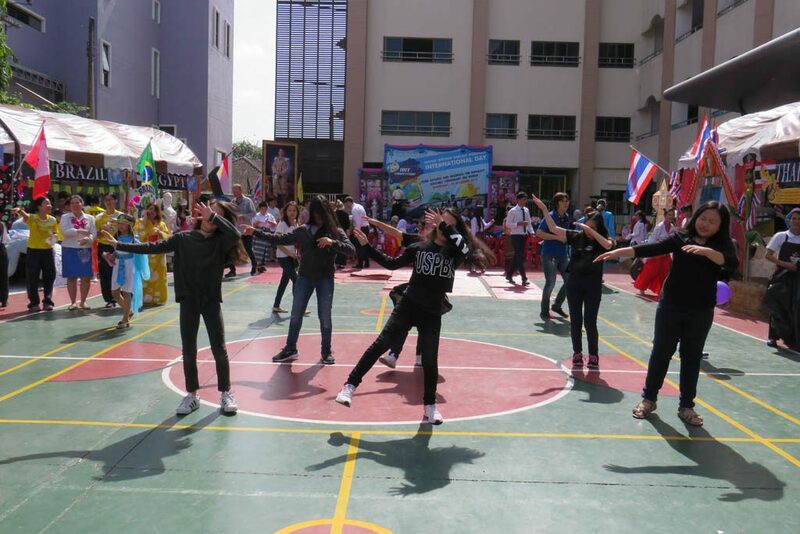 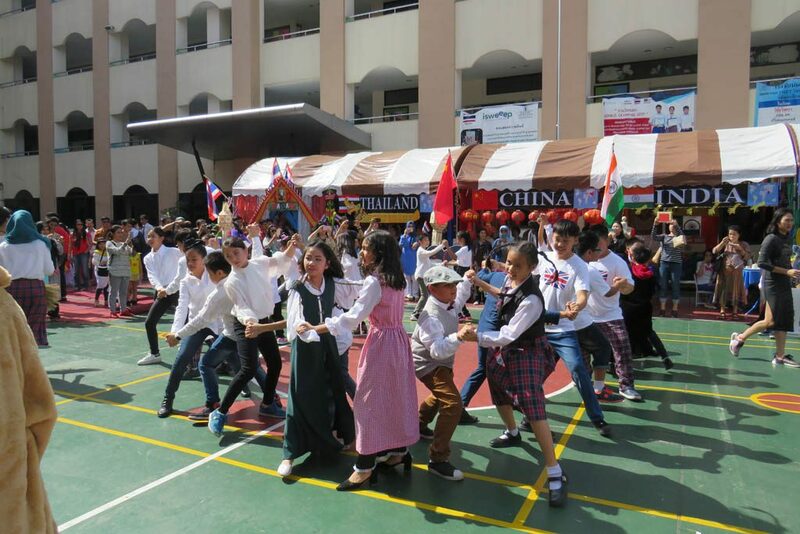 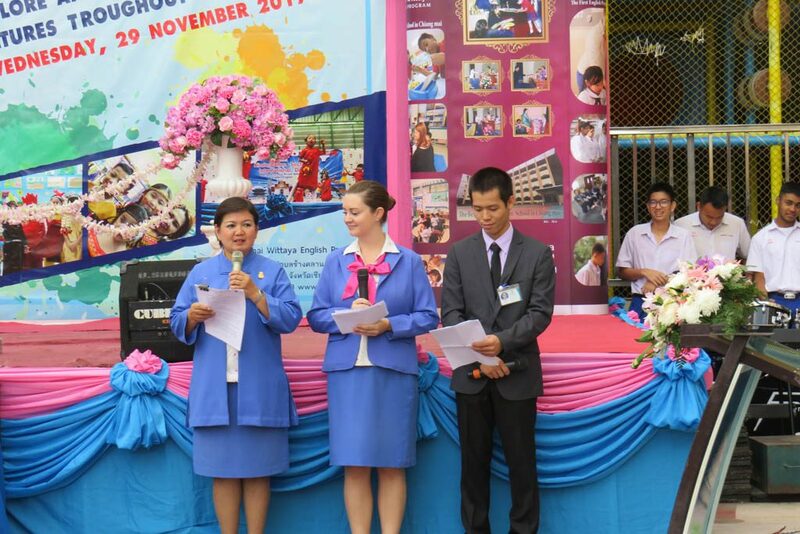 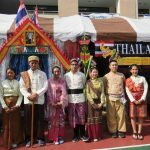 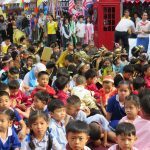 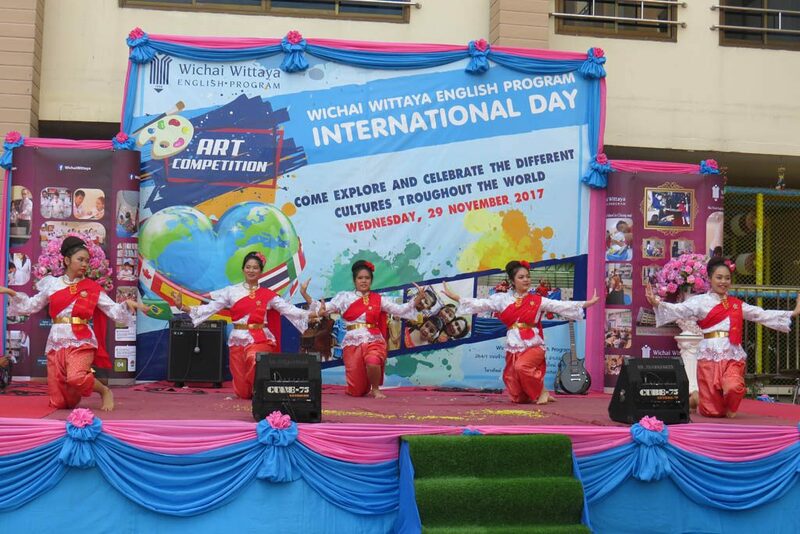 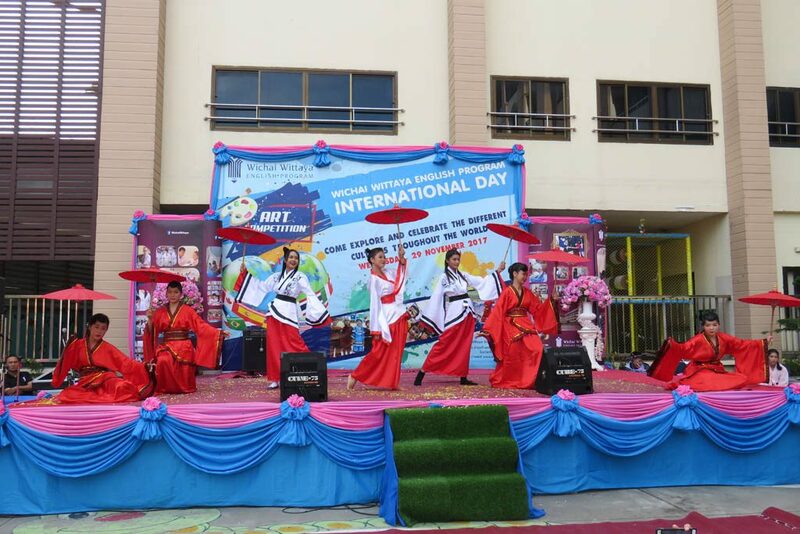 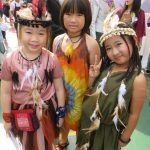 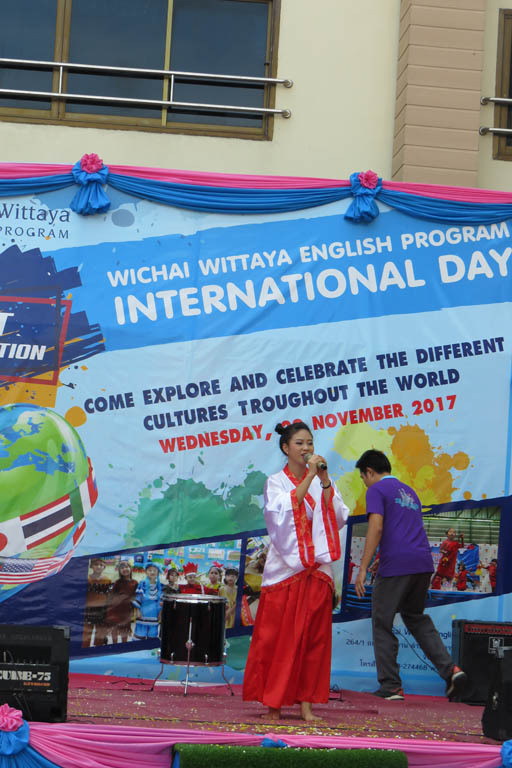 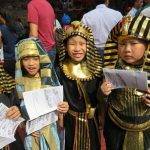 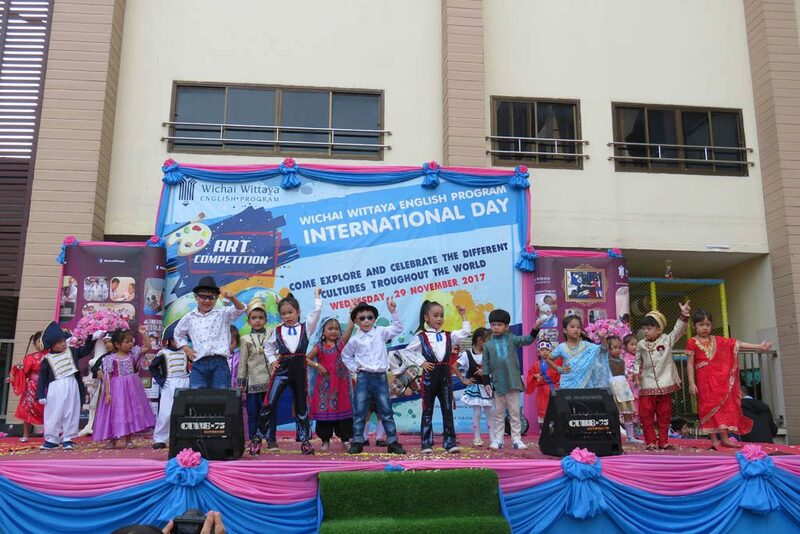 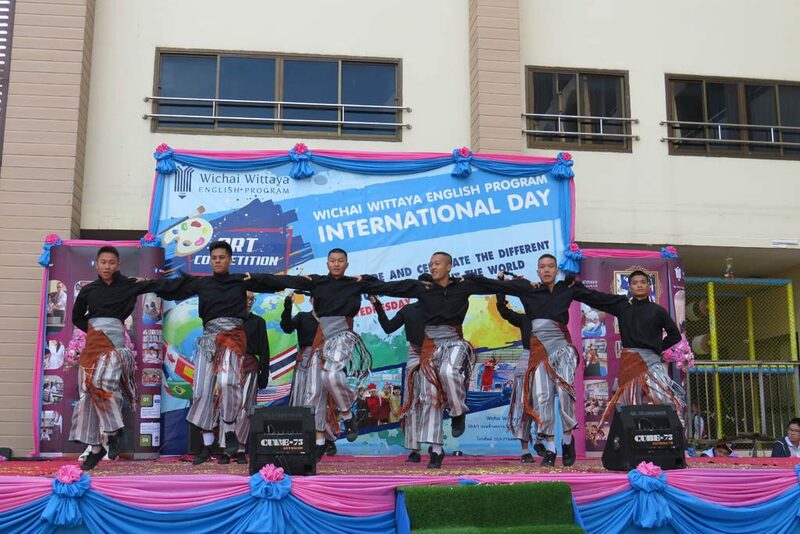 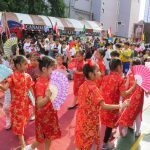 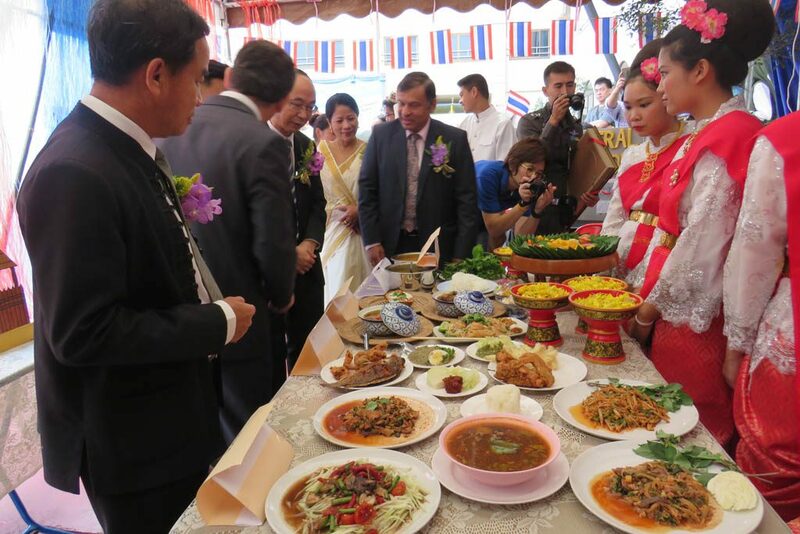 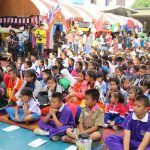 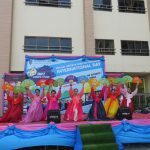 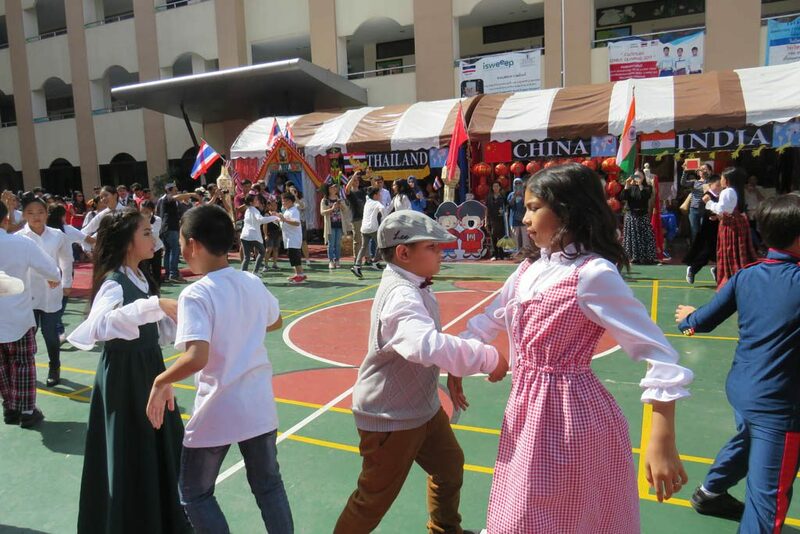 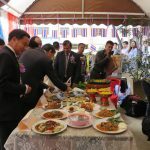 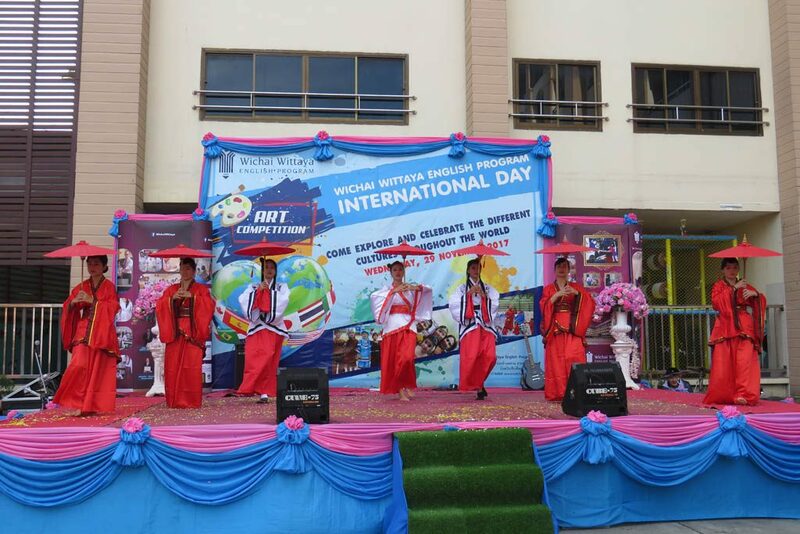 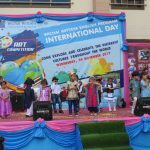 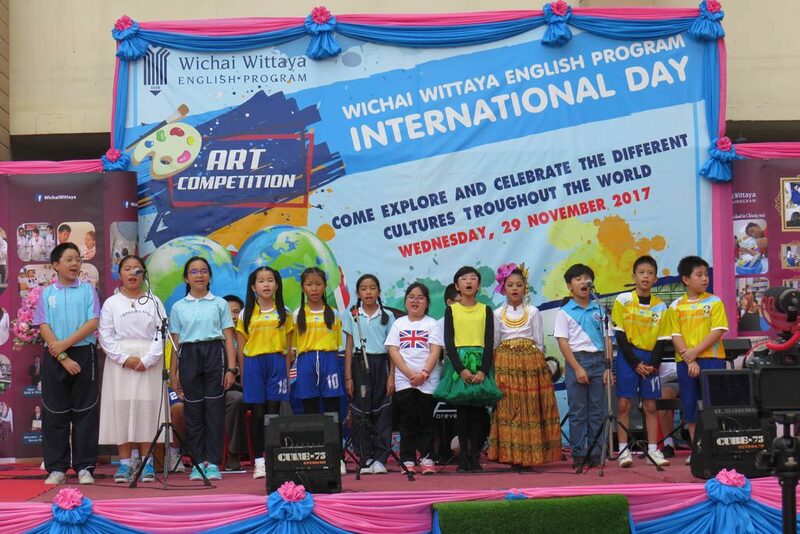 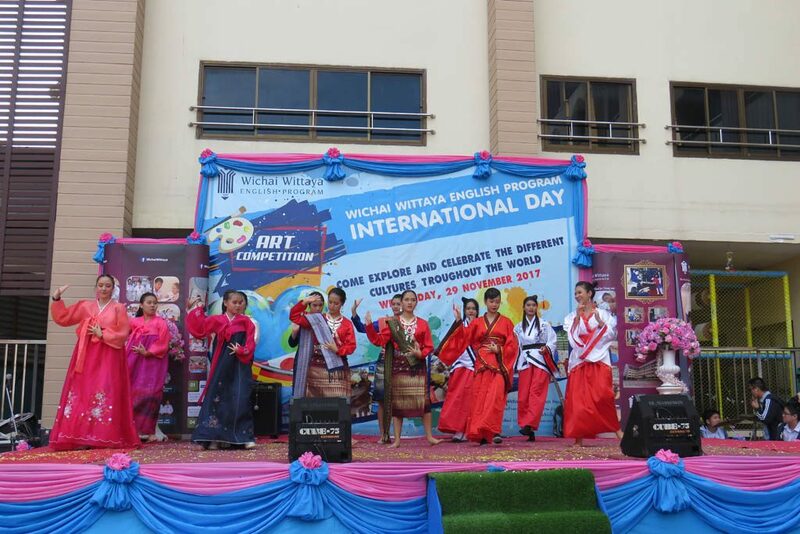 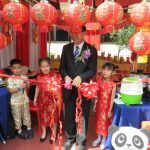 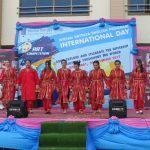 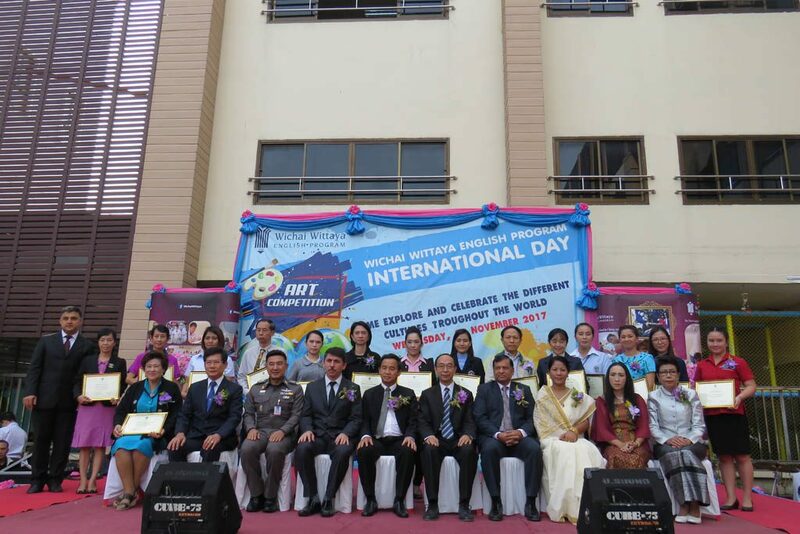 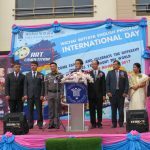 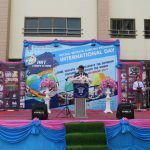 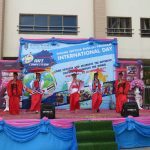 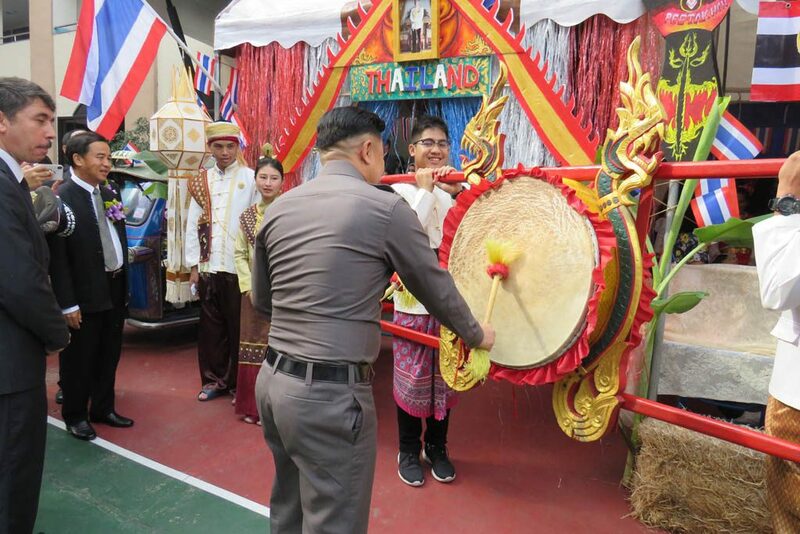 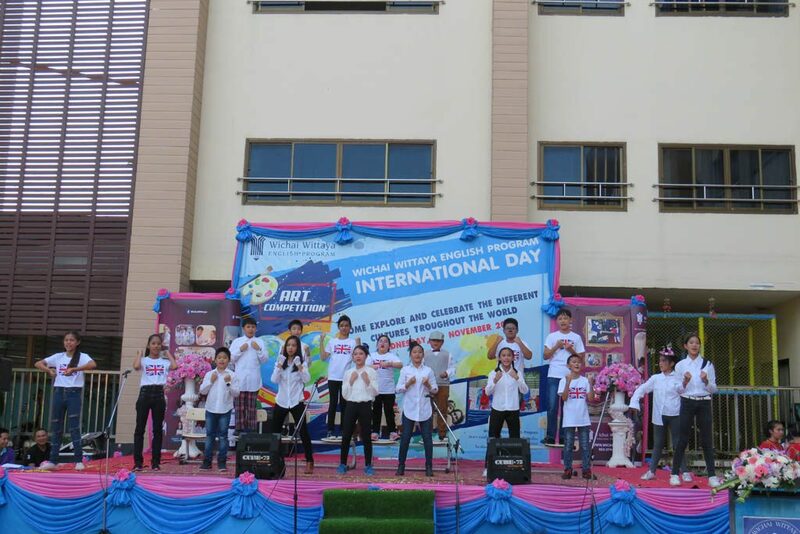 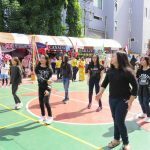 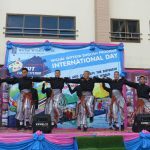 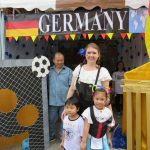 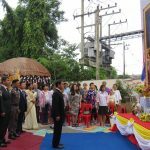 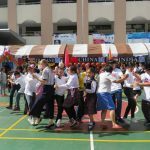 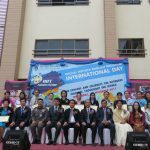 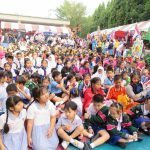 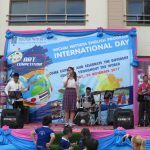 On November 29, 2017, Wichai Wittaya English Program held Wichai Wittaya International Day. 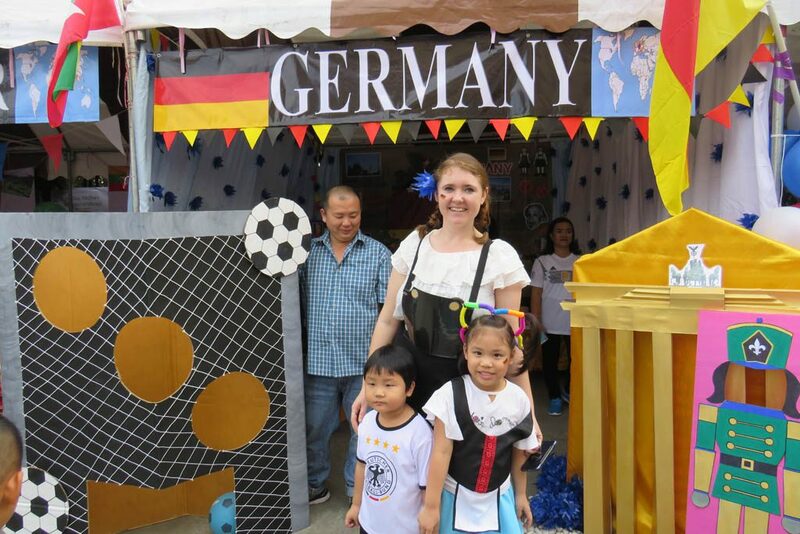 It was a fun day celebrating Nations and their cultures. 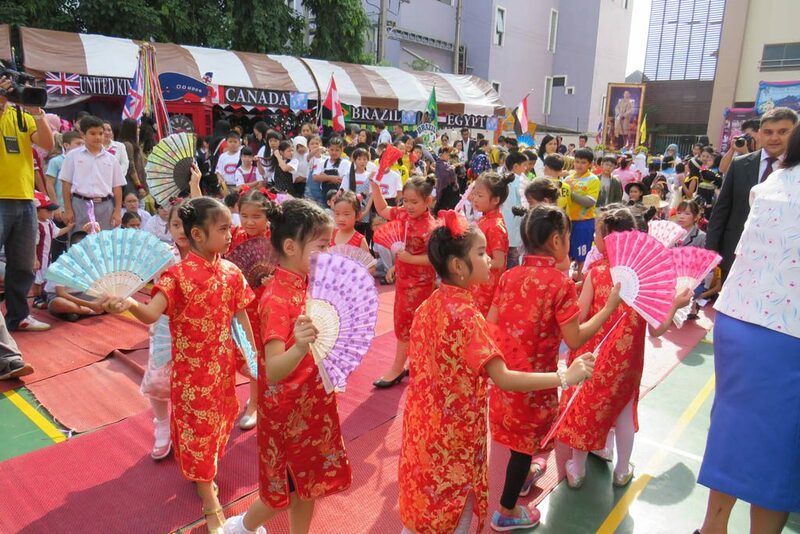 It was the day of showing true harmony and peace. 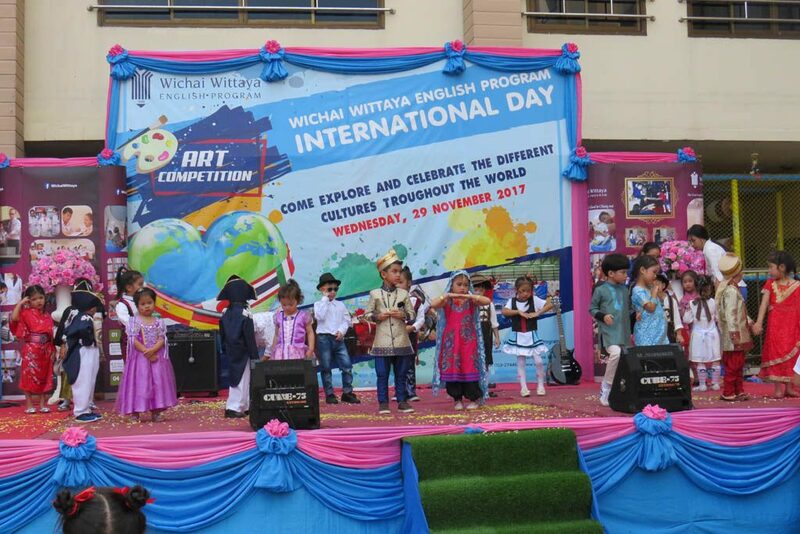 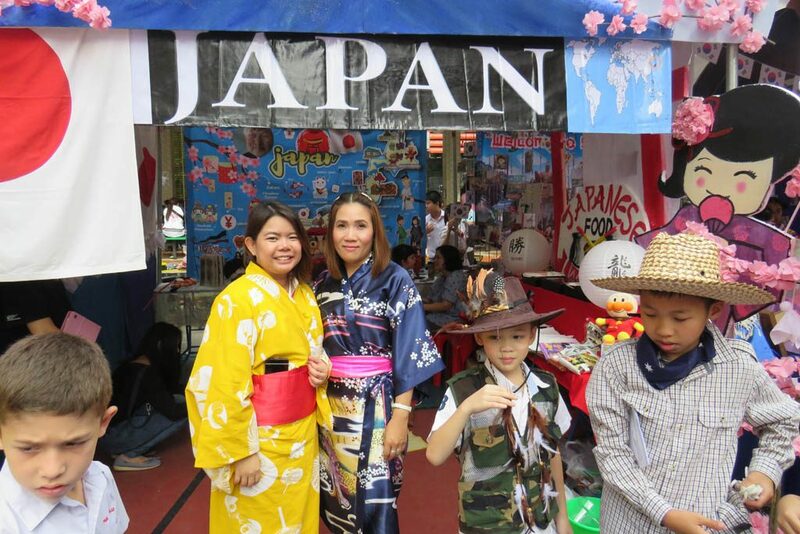 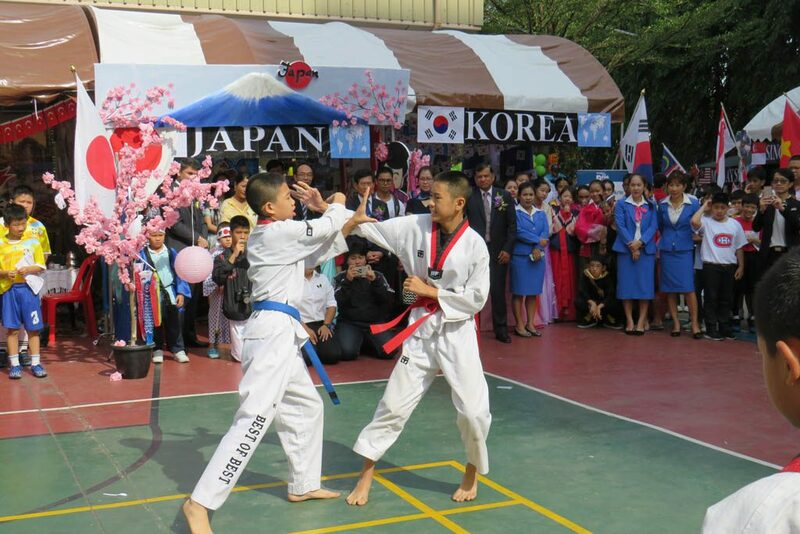 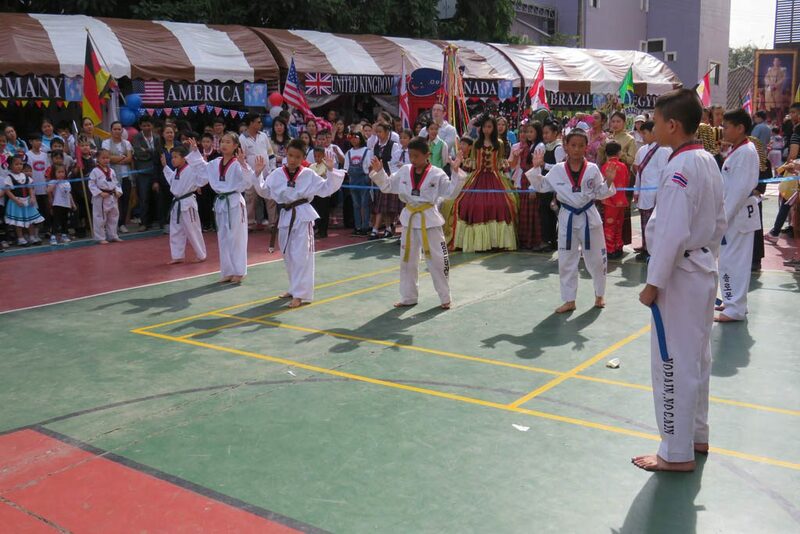 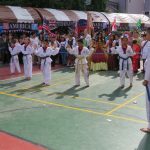 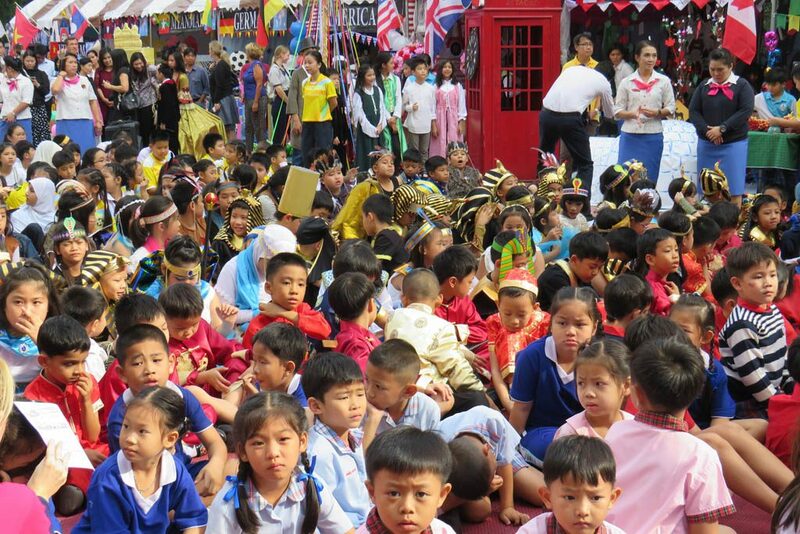 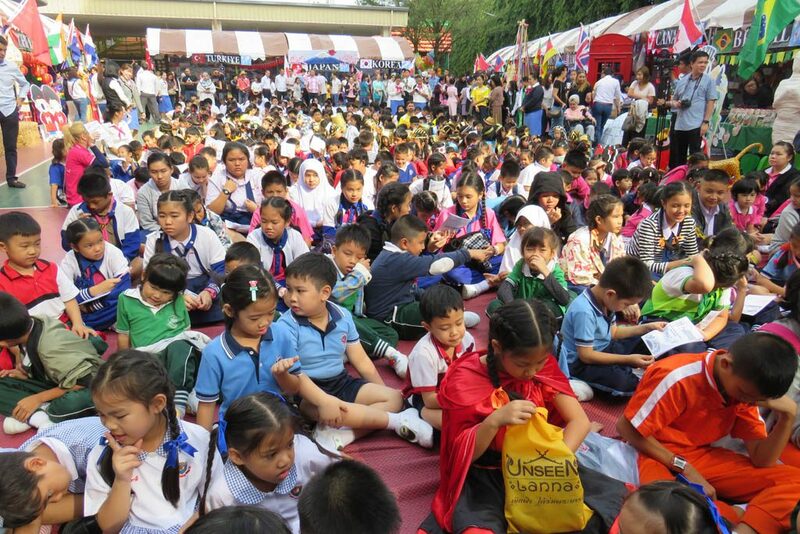 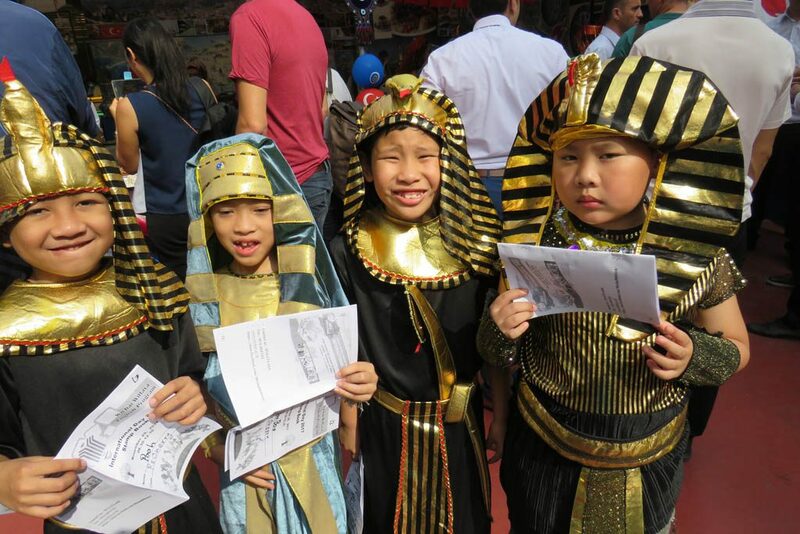 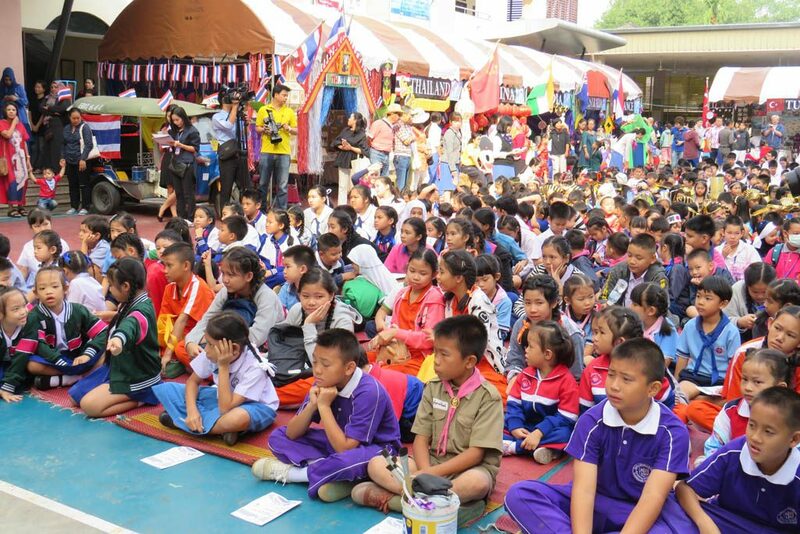 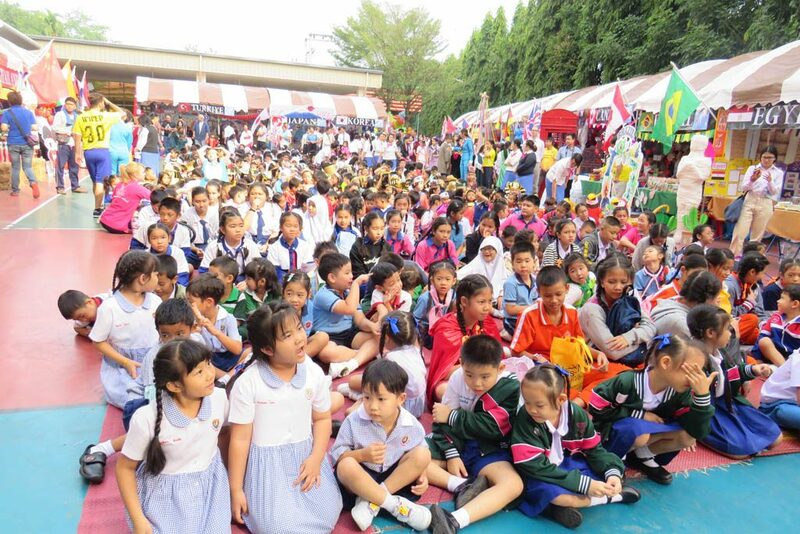 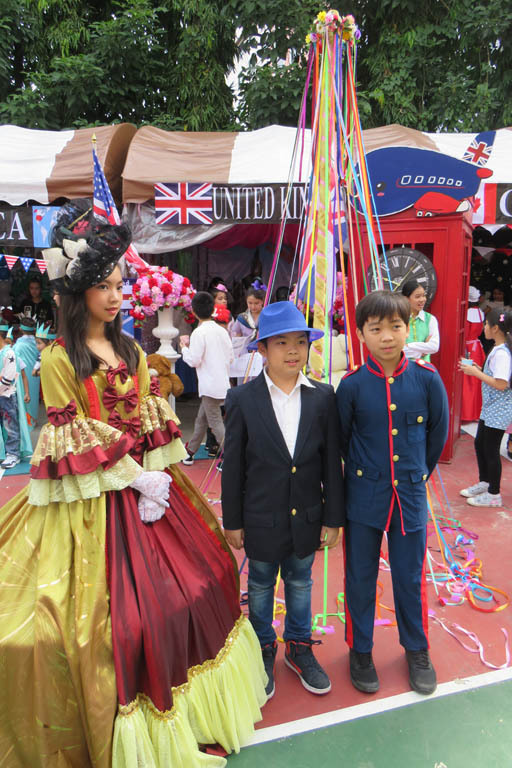 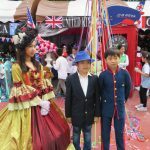 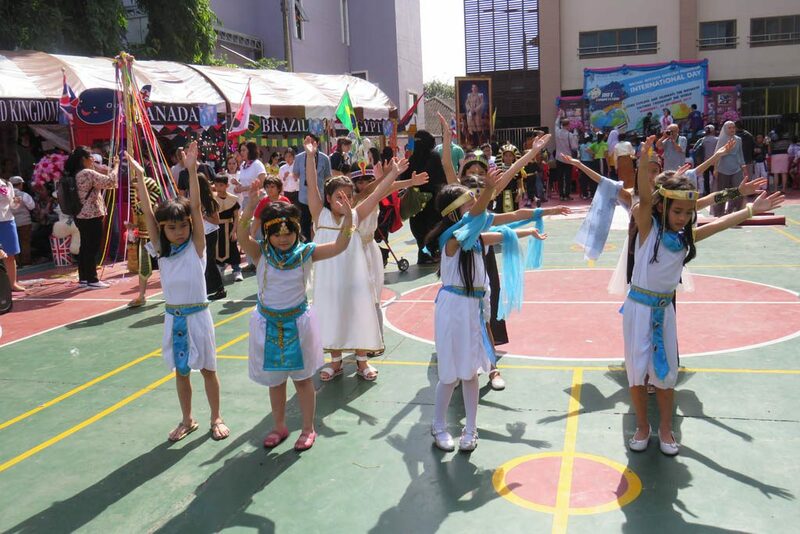 There were many visitors from various schools to participate in the Art and English competitions. 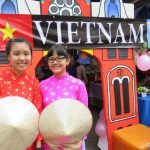 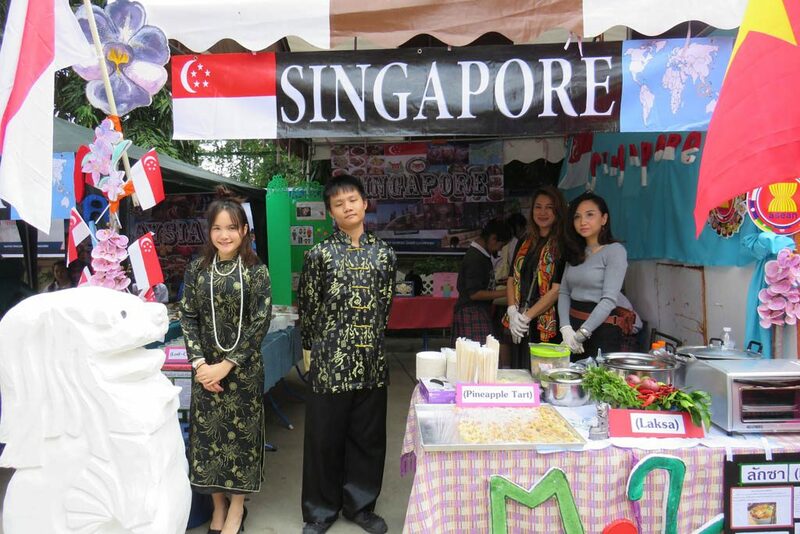 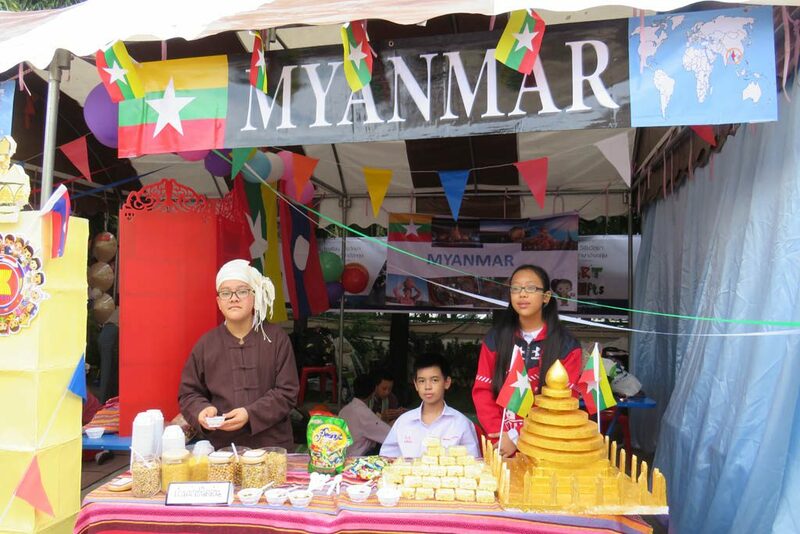 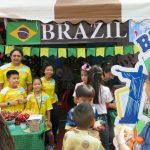 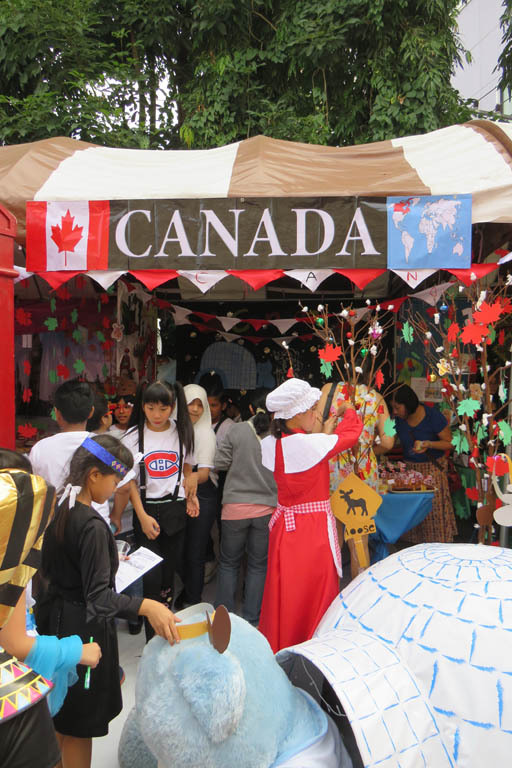 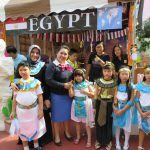 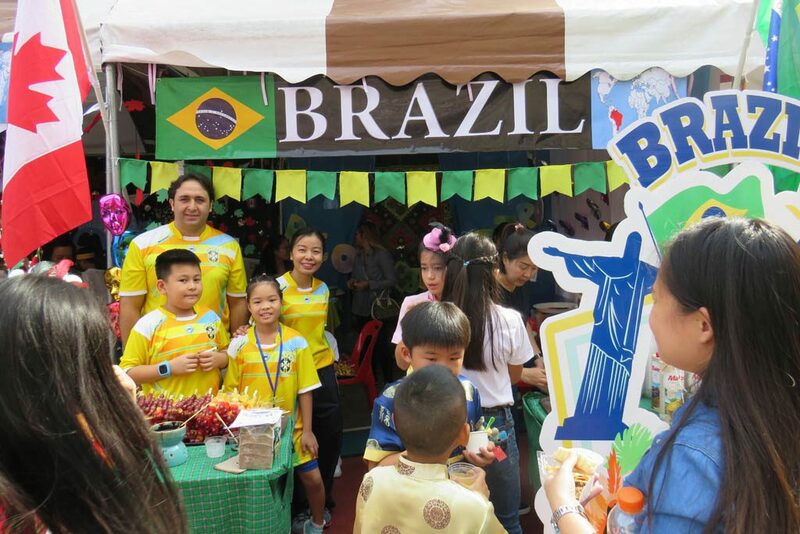 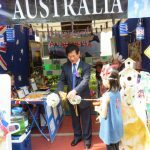 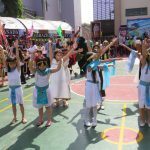 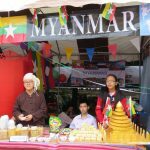 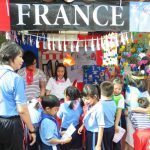 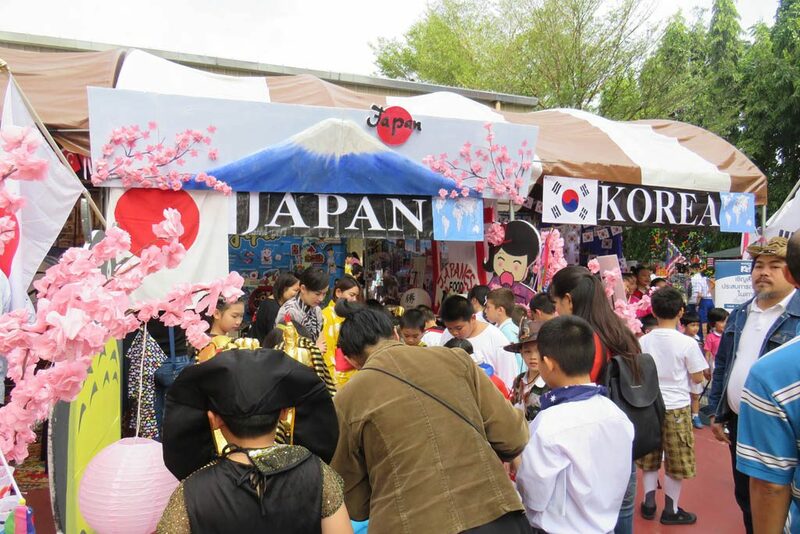 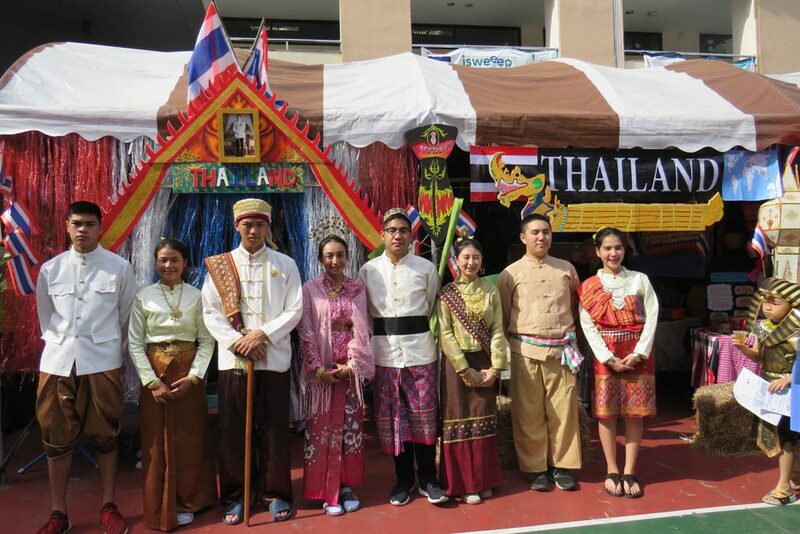 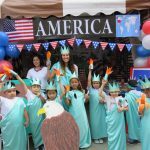 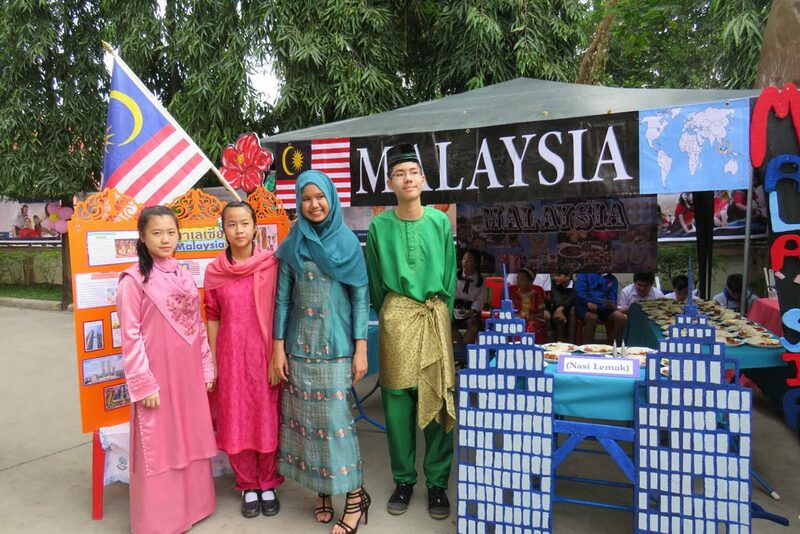 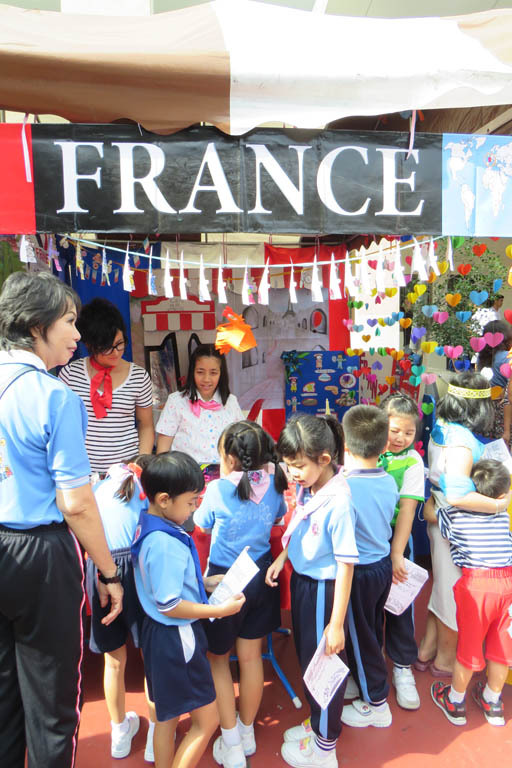 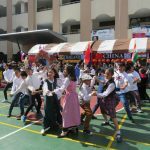 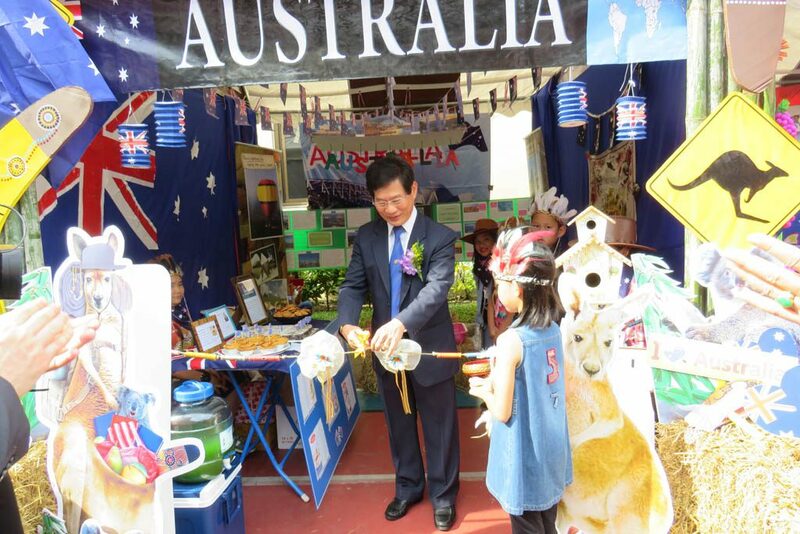 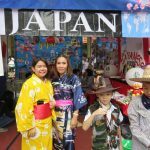 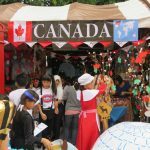 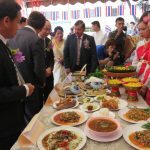 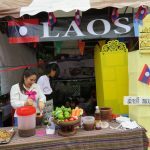 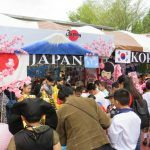 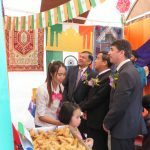 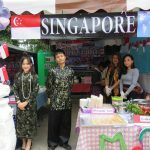 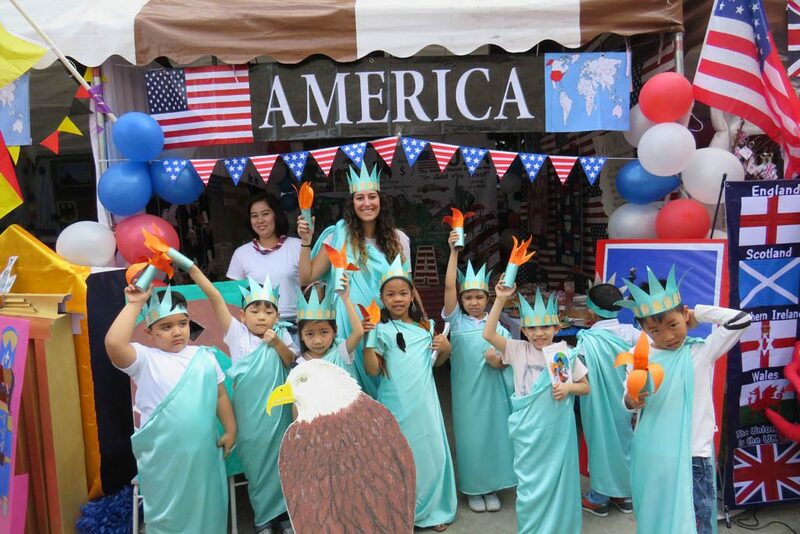 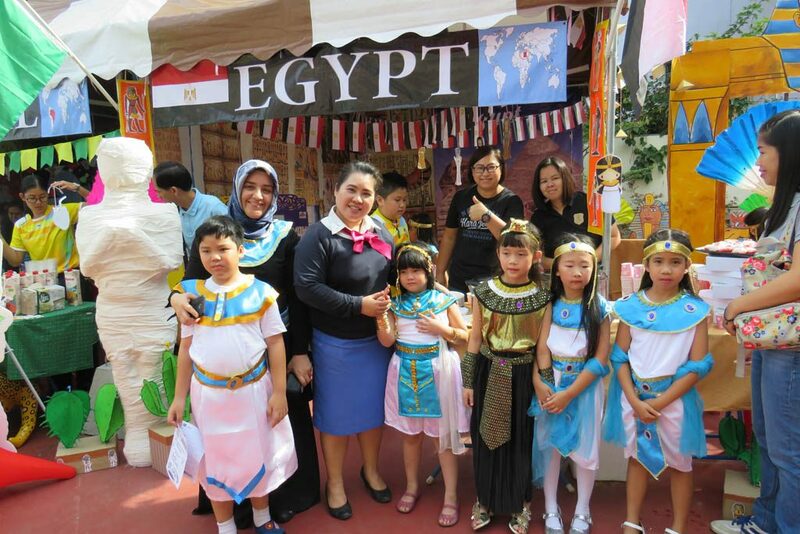 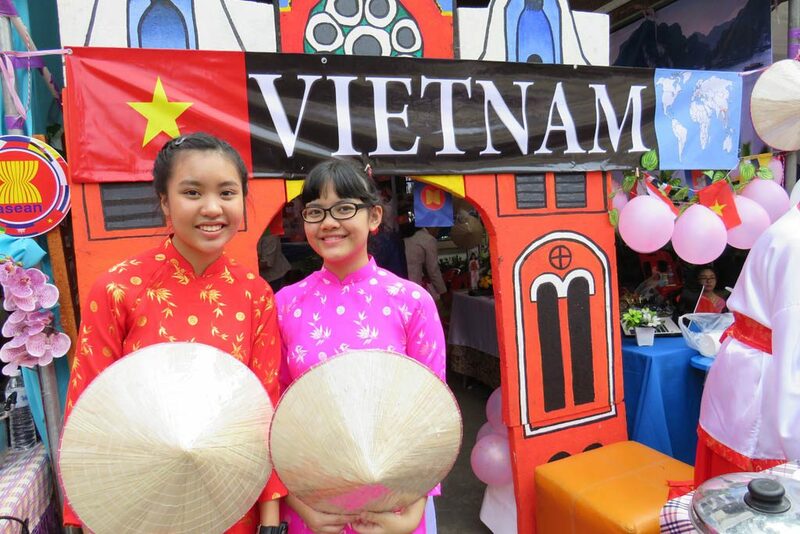 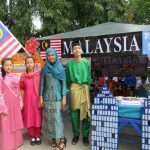 They also visited the 17 different country booths which were prepared with the support of Embassies, parents and students. 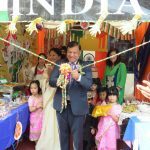 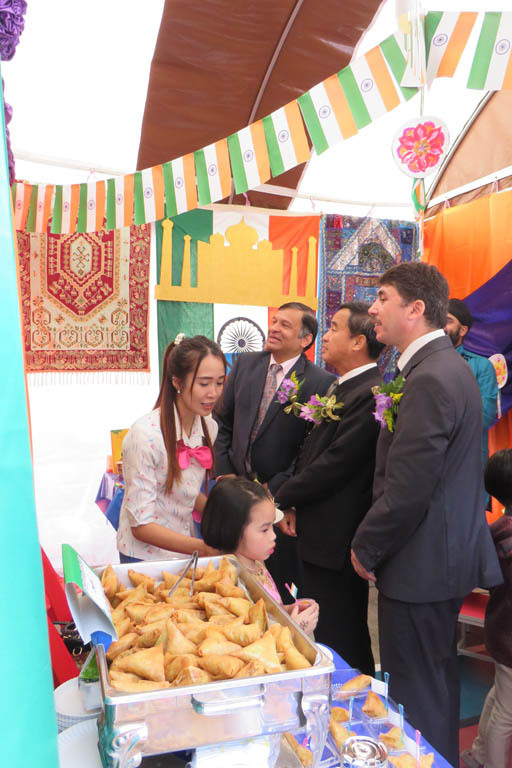 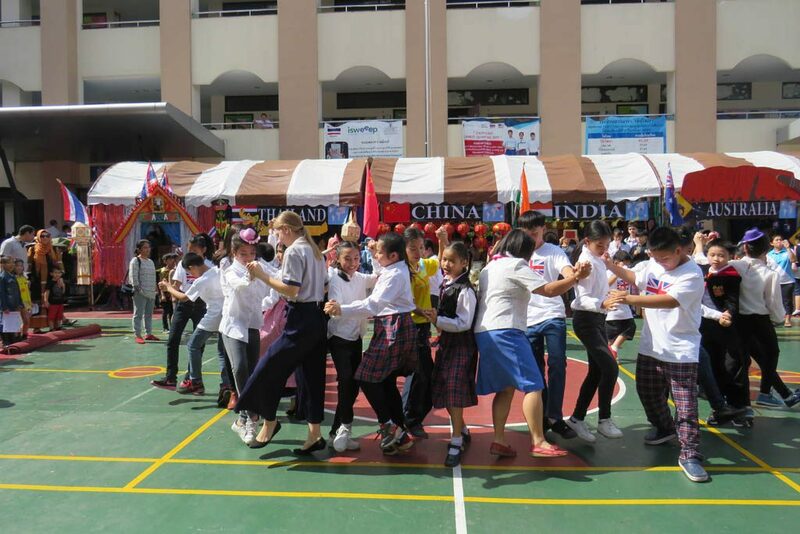 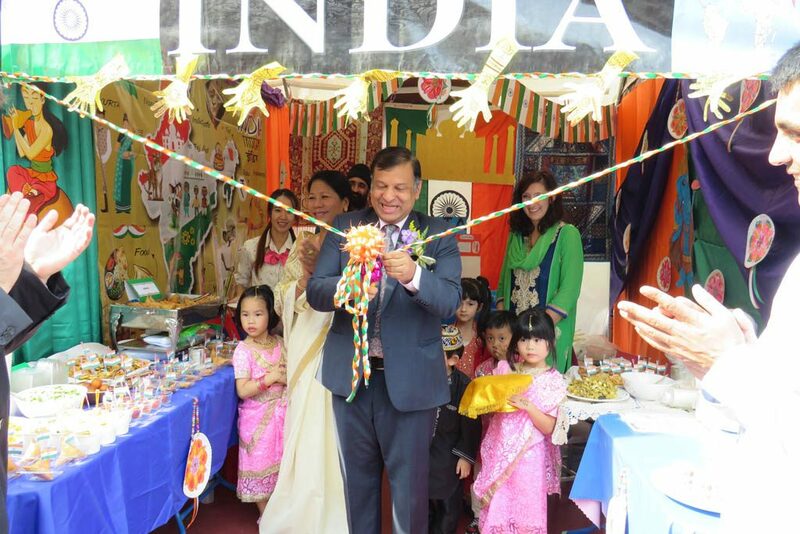 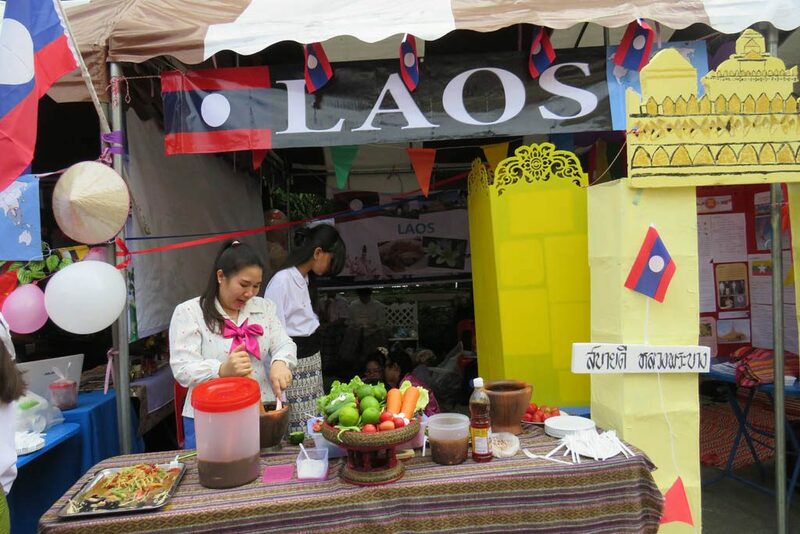 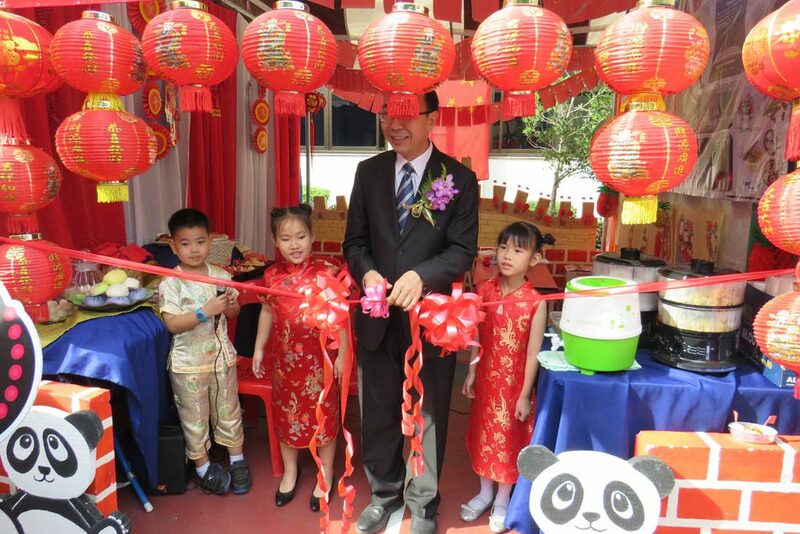 Participation of the Chinese and Indian consulates made the colorful activity more attractive and interesting. 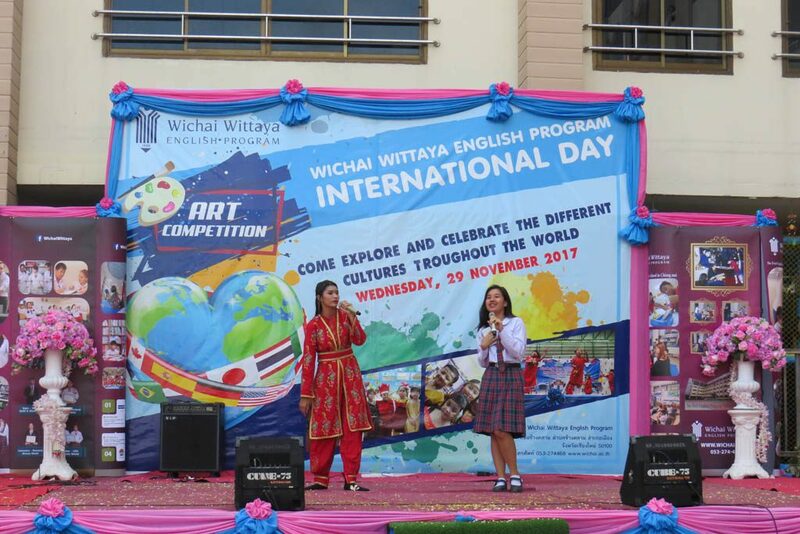 We had such a great moment and experience shared together as a community. 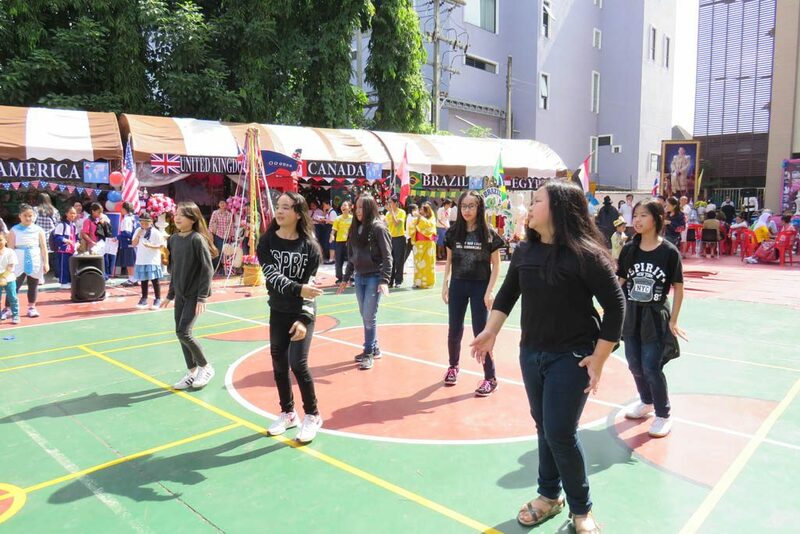 However diverse we are, we still learned to accept the challenges of each one’s ideas and cultures, and we developed camaraderie and positive values, and we realized that it leads to success!